If you’re one of the 5,000 or so Americans that have joined the electric vehicle movement by buying a Chevrolet Volt, you’ve probably been following the news regarding fires on Volts that were crash tested by the National Highway Transportation Safety Administration (NHTSA). As you may recall, a Chevrolet Volt caught fire in a storage facility three weeks after the NHTSA had conducted a side-impact crash test. That got the NHTSA’s attention, and since then, two other Volts have undergone crash testing and also caught fire. So the NHTSA opened a formal safety defect investigation on the Volt, which is currently underway. General Motors continues to say that Chevrolet Volts are safe, but they’ve decided they’ll be contacting each of the more than 5,000 Volt owners to let them know first-hand GM’s stance. And in a measure to reassure any concerned Volt owner, the automaker has also established a loaner car program for them while the safety investigation continues. GM has long maintained that the NHTSA hadn’t followed proper post-crash procedures when they crashed tested the first Volt that caught fire. Had those procedures been followed, the fires experienced by the NHTSA wouldn’t have occurred. They’ve also pointed out that none of the handful of Volts that have been involved in real-world crashes have caught fire. According to GM, the battery isn’t involved in the fire, but rather, the electronics contained within them. 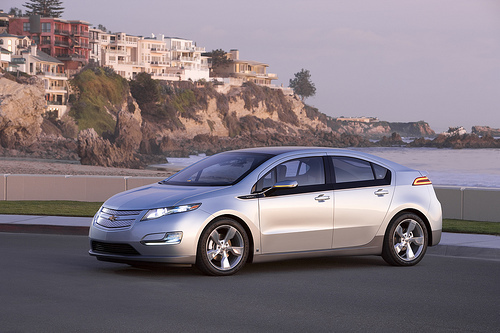 If you owned a Chevrolet Volt, would you take advantage of GM’s offer of a free loaner car?